Here's a simple definition for service learning with details and resources for planning a unit. According to Vanderbilt University, service learning is defined as: "A form of experiential education where learning occurs through a cycle of action and reflection as students seek to achieve real objectives for the community and deeper understanding and skills for themselves." Wikipedia explains service learning as: "An educational approach that combines learning objectives with community service in order to provide a pragmatic, progressive learning experience while meeting societal needs." That second definition is easier to comprehend, but it still feels more complicated than it needs to be. How about this: In service learning, students learn educational standards through tackling real-life problems in their community. Community service, as many of us know, has been a part of educational systems for years. But what takes service learning to the next level is that it combines serving the community with the rich academic frontloading, assessment, and reflection typically seen in project-based learning. 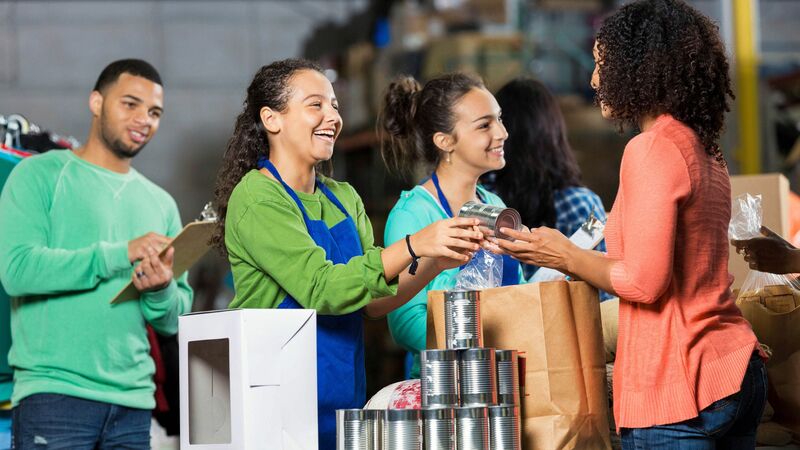 In a service-learning unit, goals are clearly defined, and according to The Center for Service Learning and Civic Engagement, there are many kinds of projects that classrooms can adopt. Classes can be involved in direct issues that are more personal and face-to-face, like working with the homeless. Involvement can be indirect where the students are working on broader issues, perhaps an environmental problem that is local. The unit can also include advocacy that centers on educating others about the issues. Additionally, the unit can be research-based where the students act to curate and present on information based on public needs. Work on a Habitat for Humanity building site. Pack up food bags for the homeless. Set up a tutoring system or reading buddies with younger students. Clean up a local park or beach. Launch a drought and water awareness campaign. Create a “pen pal” video conferencing group with a senior citizens home. 1. Pre-Reflection: Have your students brainstorm in writing the ways in which they can help their world or their local community. Check out Newsela, CNN Student News, or their local papers for articles on current events and issues of interest to get in informational reading, as well. 3. Presentation: Have your students present their findings to the school, each other, and outside stakeholders. They can develop posters to promote their call to action, write a letter campaign, or develop a simple website using Weebly. Students can “go on the road” with their findings to local schools and organizations or produce screencasts for the school website. What did you learn about the topic? How do you now think differently? Community assessment: The community partners can get their say as well by assessing the students. They may even get voice in developing the rubric or criteria for evaluating the students. Teacher assessment: Along with evaluating students on the content, you might additionally assess them on how well they accomplished the writing, graphing, researching, or speaking. Student assessment: Your students might conduct self-assessment as a form of reflection. They also may assist in developing the rubric that other stakeholders use to assess them. What we’re talking about here is a form of engagement. It’s about leveraging the need to do something good in the world as a means to help kids hit their learning objectives. It’s about teaching empathy as well as literacy. It’s about teaching compassion as well as composition. It’s about teaching advocacy as well as algebra. What is your take on or experience with service learning? Please share in the comments section below.